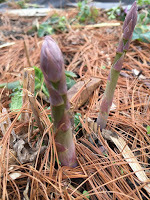 The peas are popping up too and will soon need a rabbit-barrier in place as well. The weeds are starting to get away from me as I spent the week running around the tour various gardens and attend/give garden talks. 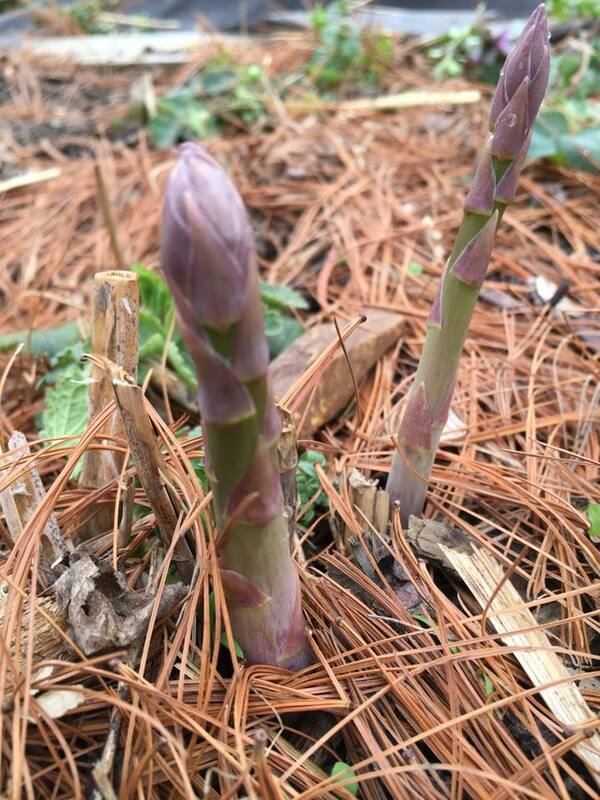 Despite their incursion, the asparagus is still emerging and throwing up several deliciously edible spikes.